General Motors’ new Bolt EV was set to be rolled out for sale nationwide in September, but the automaker decided to push that date up by a month, according to Automotive News. The move coincides with Tesla’s planned date to start production on the Model 3 sedan, widely seen as the Bolt’s biggest competitor. 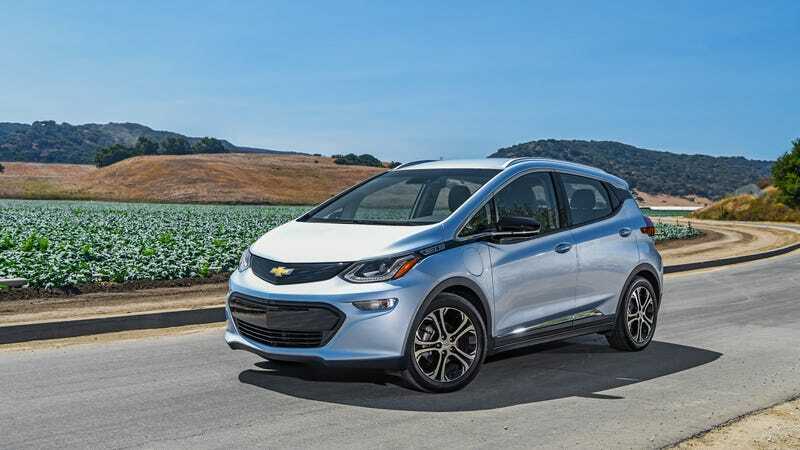 Steve Majoros, Chevrolet’s marketing director for cars and crossovers, on Friday said GM at the start of the month opened up Bolt ordering to all U.S. dealers certified to sell electric vehicles. Bolts ordered this month would arrive in showrooms by August, he said. GM’s previous schedule called for nationwide ordering in July and sales in September. Maybe Tesla founder Elon Musk has new capabilities of forecasting the future, because hours before the Bolt’s news emerged, he took to his favorite medium of communication to wax poetic about electric vehicles and such. Notwithstanding that Musk’s timeline is a tad off—Tesla was founded ahead of GM’s decision to crush the EV1—it’ll be worth watching to see what happens with sales once the Bolt’s available everywhere. Of course, we’re talking about two different cars, on two different production timelines, but Musk has said Tesla expects to begin production of the Model 3 next month. The comparisons were probably inevitable. Now, we’ll see how the public feels about them.